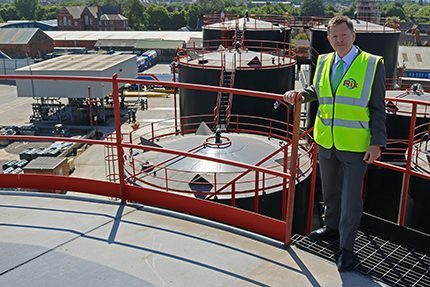 Hull-based J.R. Rix & Sons grew turnover by 17% in 2017 with all companies in the Group reporting an improved performance on the previous year. Group revenue increased by £60m to £407m in the 12 months to December 31st, 2017, with profit remaining stable at just under £5m. Holiday home and lodge manufacturer Victory Leisure Homes continued to make inroads into the industry, growing market share significantly and increasing sales from £19.5m in 2016 to £26.5m last year. The company was bolstered by the strength of the UK holiday market and the weak pound. The weak pound also combined with an increase in the price of oil prompting growth at the Group’s inland and marine fuels businesses. Rix Petroleum – the largest company in the Group – increased sales from £272m to £304m and maritime bunkering’s revenue increased from £25.4m in 2016 to £38m in 2017. Rix Shipping, which manages the company’s shipping fleet and stevedoring operations in Hull and Montrose, saw turnover nearly double across the year from £7.2m in 2016 to £13.6m last year, and the Group’s car and commercial vehicle retailer, Jordans Cars, reported a slight growth in sales from £23.6m to £25.4m. Managing director Rory Clarke described the performances as solid, adding that much of the growth had come from an increase in the price of oil. “Overall Group turnover leapt by £60m with all divisions performing well. Although a number of external factors affect the performance of our businesses – the relative strength of the pound, the weather and the price of oil – good governance, keeping a close eye on costs and having a thorough understanding of the environment in which we operate are still key to driving growth.